Pour another glass of iced tea! 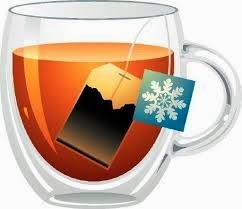 With the recent Tea Bagger losses, Eugene Robinson's article at Truthdig.com, "GOP Still Swallowing The Tea," hits the spot. 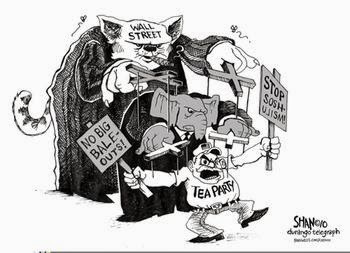 "What’s happening in the Republican primaries is less a defeat for the tea party than a surrender by the GOP establishment, which is winning key races by accepting the tea party’s radical anti-government philosophy. "Anyone who hopes the party has finally come to its senses will be disappointed. Republicans have pragmatically decided not to concede Senate elections by nominating eccentrics and crackpots. But in convincing the party’s activist base to come along, establishment leaders have pledged fealty to eccentric, crackpot ideas. "That doesn’t sound so crazy. But is it reasonable for Republicans to keep voting to repeal all or part of the Affordable Care Act—more than 50 times, so far—knowing full well that they have zero chance of success? Does it make sense, if taxes are excessive, to refuse President Obama’s invitation to begin serious talks about tax reform? 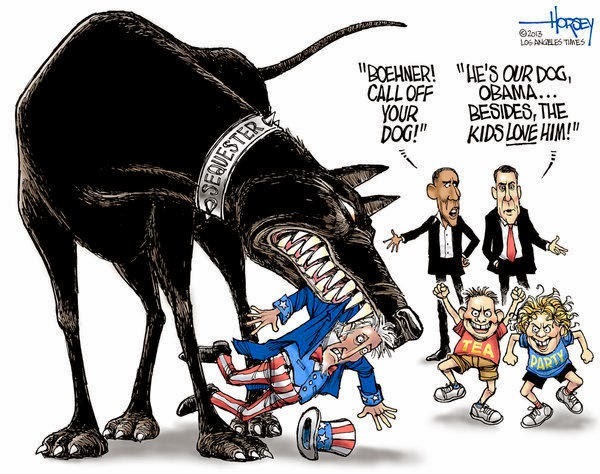 "If Boehner wanted to be honest, he’d have said his party is in favor of posturing and opposed to reality. "As for the 'government’s too big' part, this traditional GOP mantra has become—thanks to the tea party—a weapon of spite, not a statement of policy. No to extended benefits for the unemployed. No to struggling families who need food stamps. No to underprivileged kids who need Head Start. No to a long-overdue increase in the minimum wage. 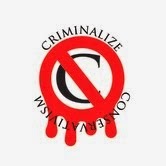 No to undocumented immigrants who want to contribute more fully to our society. No to sorely needed infrastructure projects that would make the U.S. economy more productive and competitive. "Well, maybe one candidate has the potential for a pratfall: Monica Wehby, a pediatric neurosurgeon who had establishment support in winning Oregon’s Senate primary this week, was accused of physically attacking her ex-husband in 2007 during a messy divorce. She faces incumbent Democrat Jeff Merkley in November. "Elsewhere, the potential for GOP looniness has been minimized. In Georgia, for example, the tea party’s favored candidates, Reps. Paul Broun and Phil Gingrey, were both dispatched Tuesday. The establishment’s favorites, Rep. Jack Kingston and businessman David Perdue, will square off in a July 22 runoff. Either will present a tough challenge for Democrat Michelle Nunn, who still has a fighting chance, polls indicate, to steal a seat from the Republican column. "Polls also show Senate Minority Leader Mitch McConnell, R-Ky., in a surprisingly close race against Democrat Alison Lundergan Grimes. McConnell handily defeated Matt Bevin, a challenger with tea party support, in Tuesday’s primary. But in what devolved into a contest of more-conservative-than-thou boasting, McConnell—by nature a dealmaker—promised, essentially, no deals with Obama. "The tea party is claiming a victory in college president Ben Sasse’s victory over Shane Osborn in the Senate primary in Nebraska. But there was no discernible difference between the candidates’ positions on the issues—they fought mostly over who was more determined to waste time and energy trying to repeal the Affordable Care Act. And Sasse, despite his protestations to the contrary, is actually a polished Washington insider. "Democrats can, though. The Republican Party’s move to the right opens political space for Democratic incumbents and challengers trying to win in red states. Candidates such as Grimes and Nunn can emphasize local issues while maintaining some distance from Washington—and, in the process, make Republicans play defense. "Democrats must not let voters be fooled. 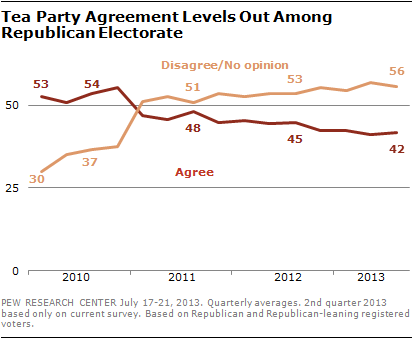 Yes, tea party candidates are going down. 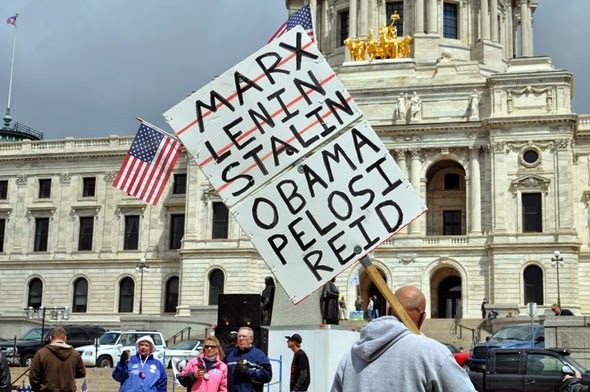 But the tea party’s extremism and obstructionism live on." So nothing has really changed in the midst of the GOP Civil War. "Republican candidates simply cannot risk being called 'moderate'" and "the GOP slate promises to display a remarkable degree of far-right ideological purity." The one thing that binds both sides together is their common cause: the protection of their rich taskmasters. Nothing else matters to the leadership, even if they have to join their Tea Bagger brethren on the right side of the political spectrum. "I even believe in the Devil. He's a real person!"